I need a... specific OLRB decision	OLRB decision by topic OLRB certificate	specific OLRB accreditation certificate	specific trade union status certificate	Employment Standards Officer's Order specific Employment Standards appeal ("ESC"s) Employment Standards appeal by topic Occupational Health & Safety Inspector's order specific Occupational Health & Safety Act appeal of order OH&SA appel by topic OH&SA prosecution (court judgment) arbitration award Collective agreements WSIB/WCB decision WSIAT/WCAT decision WSIAT/WCAT decision by topic OHRC decision Pay Equity review officers' orders PEHT decision PEHT decisions by topic What is a "reported decision"...? Reported decisions in OLRB Reports 1944 to date hard copy. Unreported decisions of last twelve months hard copy. Unreported decisions of the last twenty years can be ordered from archives, takes a few days. Butterworth's Canadian Labour Relations Boards Reports: selected cases from 1974 to date. CCH's Canadian Labour Law Cases: selected cases from 1944 to date. CanLII (www.canlii.org): January, 2000 to date. OLRB website (www.olrb.gov.on.ca): January, 2005 to date a few selected "Decisions of Interest". January, 2003 to date "Highlights" summaries of reported cases. Quicklaw database OLRB: November, 1988 to date(summaries of reported decisions: 1959 to date). Ontario Labour Relations Board Law & Practice by Sack, Mitchell & Price (Butterworths). OLRB Reports Annual Consolidated Indexes. 1971 to date. OLRB Reports Index on microfiche, 1959-1993. All on file, 1971 to date. OLRB website: brief listing of them all, see www.olrb.gov.on.ca "Accredited Employers' Organizations". Can provide print-out from OLRB case management system showing trade union status. Can order file from OLRB archives (as far back as twenty years) that should contain the actual status certificate. On Quicklaw database OLRB, or in CanLII, search for union name and the phrase "applicant is a trade union" to see if there is a decision in which the OLRB grants trade union status (or at least re-affirms it). Employment Standards Officer's Order Not a public document. 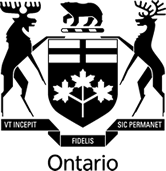 Freedom of Information Act request could be made to MoL FOI Office: (416) 326-7786. Employment Standards Handbook by Parry and Ryan (Canada Law Book). Employment Standards Act 2000 by EPB (Carswell). ESA Decisions Index on microfiche, 1970-1996. Occupational Health & Safety Inspector's order Not a public document. FOI request could be made to MoL FOI Office: (416) 326-7786. 1980 to date hard copy. Quicklaw database OOHS: some 1980-89, all 1990 to date. OH&SA Keyword Index and Summaries 1980-95. Ontario Health and Safety Law by Keith (Canada Law Book). Chapter 10. "Appealing Ministry of Labour Orders." Annotated Occupational Health and Safety Act by Arnott and Exner (Canada Law Book) section 61. Arnott & Exner's Annotated Occupational Health & Safety Act (Canada Law Book) has a table of many of these with CLB's order number. See the "Sentencing Charts" section. Canadian Occupational Health & Safety Cases (Carswell) published from 1989-1993 includes some of these. MoL website (www.labour.gov.on.ca): press releases on some of these going back two years gives summary of case and court information. Quicklaw database ORP: includes some of these. Labour Arbitration Cases (Canada Law Book) Vol. 1, 1948 to date. Canadian Labour Arbitration Summaries (Canada Law Book) Vol. 51, 1998 to date. Quicklaw global database ARB--contains a mix of reported and unreported awards from various jurisdictions and various date ranges. There is a legal requirement to file all labour arbitration awards with the MoL and to make them available to "any person". (Reg. 684, section 4). Therefore, contact Arbitration Services at the MoL: (416) 326-1300. 9th floor, 400 University Avenue. Current year plus one year are on site, approx. 15 years before that can be retrieved from storage. Archives of Ontario: Julie Stabile (416) 327-1595 for 1970 to 1988. WSIB/WCB decision Not public documents, except for a few released from 1991-97 which are in the OWTL. A Freedom of Information request could be made to the WSIB. Quicklaw and CanLii will also carry a large number of WSIAT decisions. Butterworth's Workplace Safety and Insurance Act by Dee, McCombie and Newhouse. Database on WSIAT website: www.wsiat.on.ca. CanLII database coming in 2006. OHRC decision Not usually public documents. FOI request could be made to OHRC. Check court decisions for appeals of some OHRC decisions--all the way to the Supreme Court of Canada. April, 1989 to date (all) summaries of orders. These summaries are anonymized and are identified only by summary number and date. reported: Pay Equity Reports, hard copy. Quicklaw database OPED: April, 1989 to date. reported decisions April, 1989 to date and unreported decisions Sept/01 to date. Pay Equity Reports subject index in each annual volume. CCH's Ontario Workplace Equity Guide. Ontario's Equity Laws by Elliott (Canada Law Book). CanLii and Quicklaw have PEHT Decisions from 1989 onwards. All PEHT's decisions from 2001-onwards are also posted on their website. What is a "reported decision" as opposed to an "unreported decision"? A reported decision is one that has been published in a case law reporting series. For example, if an OLRB decision is published in the OLRB Reports (or elsewhere, for example in the CLRBRs or CCH's Canadian Labour Law Reports) it is considered a reported decision. If the decision is not published in a law report it is considered an unreported decision. Reported decisions usually have summaries written for them and are assigned keyword indexing. Unreported decisions do not. Between 2 and 3 percent of OLRB decisions get reported.